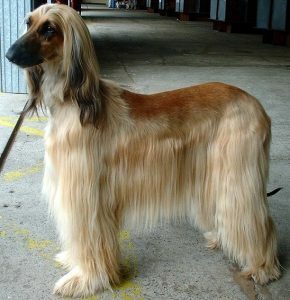 The Afghan Hound is a Sighthound. 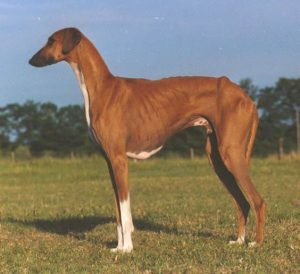 Sighthounds are breeds of dogs that have the unique ability to hunt by sight and speed. 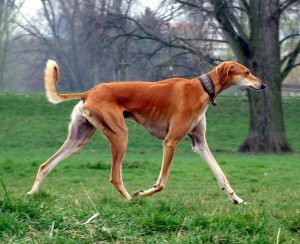 Most dogs hunt by scent, but Sighthounds do not. 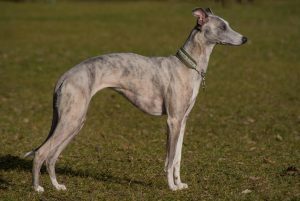 Sighthounds are ancient breeds that typically originated in Egypt, Middle East, Africa and Southwest Asia. Faster than a Bolt of Lightning! Sighthounds can hunt with very little instruction or human intervention with training. Other breeds do not have this capability and rely more on directions and training from their owners. They can run as fast as 27 mph and even quicker when they have their eyes honed in on a prize. This breed clocks in as the fastest dogs in the world. Eleven different breeds fall under Sighthounds. These breeds are docile and laid back in the house, however, if they go outdoors, be very careful if they are not on a leash. They are known for catching something in sight and take off in pursuit of it. 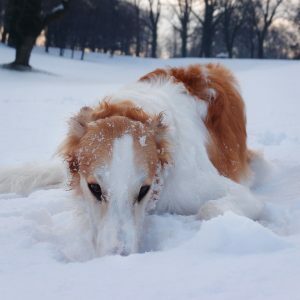 This can be very dangerous for a Sighthound that is not in a fenced yard or on a leash. This breed originated in Afghanistan. These dogs have a somewhat springy gait as they holds their heads up high in an arrogant manner. The overall impression of the Afghan is elegance, strength and fast. This Sighthound hales from Africa. For centuries, the Azawakh wandered through the deserts with the Tuareg tribes and were used to guard their camps and livestock. They are often seen on top of the thatch roofs of villagers homes. Russian nobility has had this Sighthound around for centuries. Their name means “swift.” They have been used to hunt for decades in the plains of Russia. With popularity increasing with this breed, they became more of an indoor family pet. This breed is the quietest dog never barking once in its lifetime! 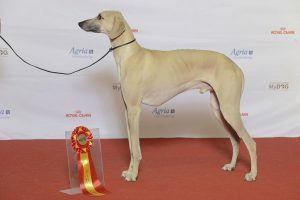 This Sighthound was bred to hunt in Scotland. 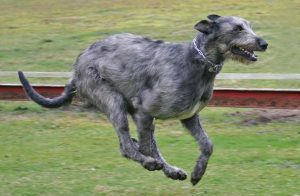 Similar to the Greyhound, the Deerhound is larger and stocky. These dogs are laid back, independent yet sensitive with reservations towards strangers. This Sighthound has traces in every country on earth, originating in Egypt around 2751 B.C. The aristocratic demeanor and style of this dog attracted royalty to owning the breed. Greyhounds are bred mainly for racing, lure coursing or for show. 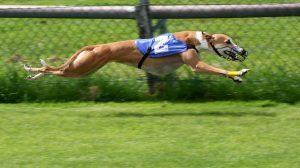 Quick in speed and endurance, these dogs infamously fill racetracks worldwide as people crowd in to place bets on them. Don’t let the scrappy appearance fool you! This large Sighthound has a “homey” sweetness and vibrant personality. 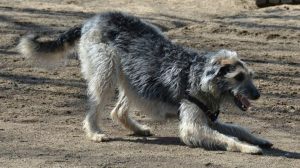 The Irish Wolfhound dates back to 391 A.D. and was used in Roman wars as well as guarding livestock and their owner’s dwellings. 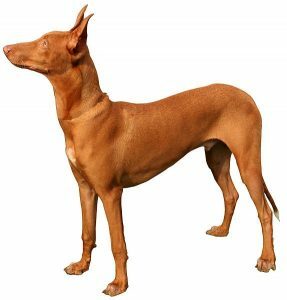 This breed originated in Greece and Turkey over four thousand years ago. They were used for small game hunting as well as rodent control. Having a very fragile appearance, its grace and elegant demeanor attract dog lovers worldwide. It’s a lot of dog in a little package! This Sighthound makes a great family dog because of its gentle and timid nature. Native to Malta, this breed is one of the oldest. One odd characteristic of this dog is it blushes in its ears when excited. Being very intelligent and independent-minded, it tends to be stubborn with training. 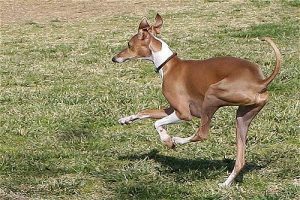 These dogs are often found in agility sports or lure coursing. This breed comes from the hot deserts of Saudi Arabia. Used by nomadic tribes centuries ago, these dogs hunted for their owners. The Saluki has a sweet personality and tends to get bored quickly. They are very sensitive and requires gentle patience with training. Native to the Saharan desert, this breed’s origin is unknown. It is thought that the nomadic Berbers created the breed. Held in high esteem, only chiefs and kings were allowed to have them. Dating back to end of the nineteenth century, this breed moves extremely quick and can run up to 37 mph. 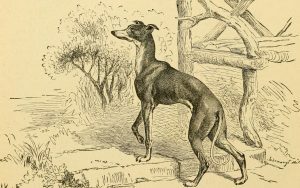 Nicknamed “the poor man’s racehorse,” the Whippet was popular with low-class gamblers in England. This dog makes a great family dog with their sweet disposition.